Looking for Healthcare Marketing in New York? For any type of organization that serves the public, proper marketing is essential to success. In order for a company’s ideal model to work properly, the organization much identify their key demographics, attract a strong base of clients, and retain current clients by building relationships. Healthcare and medical practices are no exceptions to this idea. In order for a practice to prosper and continue, doctors must properly market their practice to potential clients, and foster strong relationships with current clients. One of the best marketing tools used universally is popular social media platforms. By properly using social media, businesses can closely connect with potential and current clients. This can help build and strengthen relationships. When marketing for healthcare practices, New York doctors can post and share information about their practice, as well as their field as a whole. This allows the client to better understand what the practice is all about. Doctors can also use social media platforms to share healthcare tips and news to keep clients updated on the latest trends in the industry. Utilizing social media is one of the best ways to brand your practice as well as to help remind your patient base of the services you offer. In terms of attracting new patients to your practice, uploading text content to your website is critical to raising your ranking within Google’s Algorithm. The term SEO or Search Engine Optimization is the synergy of strategies that help to increase awareness of your practice through search engines like Google. Google is the #1 way of reaching new patients online. If you need help strategizing and implementing your healthcare marketing strategy, Prescription PR in New York offers an array of services for healthcare and medical practices. By individually creating and executing a marketing plan for each client’s needs, we will help build a strong and effective social media presence for your medical practice, as well as help foster relationships with potential referring physicians. We provide healthcare practices with the tools to take their marketing to the next level. Contact us today! Why Hire a Website Development Team? While healthcare practices work for the one-on-one interactions with their patients, they also depend on the digital interactions that help grow their clientele. Both entail similar communication methods, but are very different in scope and require different perspectives to see results. Having a strong digital presence is crucial for successful healthcare marketing in New York. Website development teams hone their skills for the media platforms and strategize a practice’s message for reliable referrals and broadband reputation marketing. Using quality content management and web analytics, search engine results are optimized for consistent digital trafficking. Web Development teams use 5 plan components for organizing a marketing strategy: custom designs, visual properties, new technologies, SEO compliance, and webmaster services. Each tactic is shaped to your specific needs to increase your patient referrals. At Prescription PR, we mold the expertise of our creative tools to the needs of each practice, carefully deliberating to create a new strategy framework each time to produce quality results. We know that communication is key in marketing, especially within the confines of healthcare, and especially in the bustling marketplace of New York; each action we use to create your digital image is geared towards optimal communication. We will work to shape your digital healthcare marketing strategy to make you stand out from other New York practices. In digital healthcare marketing in New York, referrals only work through communication, for both the practice and the client. Our New York marketing experts keep both sides of the coin up to speed with the market buzz. We groom our strategy to your visions through informative meetings and agreements. Prescription PR stamps your practice with market influence but caters to your business desires. We use the tools and guide you with advice, but you hold the reigns in your professional representation. Work with us to bring your story to the web’s front page! One of the internet’s greatest perks is the ability to reach others outside of your immediate network. When it comes to small businesses like healthcare clinics, reaching out to potential customers regardless of proximity breeds success through more possibilities. In New York, utilizing the online healthcare marketing space is not an easy task as it has become incredibly competitive. The internet is a big place and there are millions of companies vying for clicks and web page visits on a daily basis. Nowadays, it takes a well-designed strategy to truly harness the power of digital healthcare marketing while setting yourself apart from your rivals in New York State. Plan– Make sure the business’ marketing strategy is thought out and written out. Organize which methods of online interaction is best suited for your company. If mobile-friendly web pages are possible, explore it. Once everything is decided, build a schedule and a team to put everything into motion. Execute– Launching your campaign can be time consuming and frantic. Stick to the schedule as best you can and be sure you have online tools in place to monitor activity. Otherwise, employ a marketing company to do it for you. Analyze– Take advantage of the insights and analytics Google, Instagram, and Facebook provide. These could provide insights on the potential leads you are reaching through social media as well as your website traffic. Also, when a customer calls, ask how they found you! This can help propel the direction of your future marketing efforts. Optimize– Compile the data and review it. Every metric should factor into manipulating your strategy in the future for maximum success. These days, every business can benefit from a stronger presence online, especially when entering new markets. If assembling a team of digital marketing professionals to handle your healthcare marketing in New York seems out of reach for your company, look no further than New York-based Prescription PR. Contact us today to discuss how our services can fill your digital marketing needs. With the internet being right at our fingertips (with the click of your phone you may be sent within seconds to a web browser of your choice), there is so much information that we have access to. It is safe to say that the growth of the internet has made our lives easier in many ways. However, the internet also makes life harder in some ways, as it gives users access to perhaps too much information. With review pages such as Yelp and Glassdoor frequently visited for reference, many practices and their management often gets critiqued based on performance from customers and/or employees. This may help or hurt you depending on what others have said about your company and is important to consider when handling your healthcare marketing strategy. It is very important that the reputation of your business or practice is managed properly via the web, as what is relevant to users based off of their search may have positive or negative effects. Our healthcare marketing specialists in New York can help you manage your digital reputation so that your practice may continue to take off in the right direction and lead to more clients. Your reputation is in good hands with Prescription PR as we strive to help practices put their best foot forward. One thing about reputation management is that although you can never truly erase anything bad or harmful on the web, you can create a lot of new reviews and pages that are positive and helpful to the company. This will be the most recent and popular results of your digital search about a practice. Prescription PR is a company known for positive reinforcement of reputations, and you will be in good hands as we will take care of social media accounts while also assisting in managing your company website with blogs and positive reviews to help your clientele rise. Need help delivering your message, driving referrals, driving demand, creating media opportunities and much more? We can help. For more information on how Prescription PR can help handle your healthcare marketing efforts and build recognition for your medical practice, please call (631) 392-4255. The key to any successful medical practice is having an effective marketing strategy. In order to do this, you need to be aware of the challenges you may face in maintaining steady patient traffic throughout the course of the year. While it may seem overwhelming, these challenges can be easily solved with the right plan. Below are the 5 most common healthcare marketing challenges for New York clinics. Differentiating your practice from the competition: What does your practice offer that differs from the local competition? Are you up to date with the latest in medical care and technology? If that is the case, is this information available on your website and social media pages? If not, you may be missing potential patients. Building a recognizable brand: Do your website and social media show consistent brand imagery? The content you post will determine how your audience sees your practice. Our advice is to make sure that whatever you post is consistent with your practice’s identity across all channels. Consistently bringing in new patients: Do you have patients coming from a wide variety of providers as well as the internet? Depending on a select few providers and your current patient pool will only get you so far. Employing Search Engine Marketing tactics and Outreach to strategic offices in your area might be key to maintaining and growing your practice. Implementing a digital content strategy: Just like the advice you provide in your office, the goal of your online content is to have a positive impact on your current and prospective patient’s health. They rely on knowledge that a medical professional has, so the more helpful information you post, the higher the chance a patient will come in for services. In addition, content writing provides tremendous benefits in terms of search engine rankings. Promoting positive patient reviews: Positive reviews can be helpful in attracting new business. Making sure your office and provider’s profiles are claimed, allows patients to review their experience. Studies show that having no reviews can have the same effect as poor ratings. There are strategic marketing tactics you can employ in order to promote your happiest patients to review your practice online. It is also important to be prepared for negative reviews. Knowing how to respond to a negative review that will not only assist in fixing this situation but to convey to prospective patients your commitment to patient happiness and care, can make the difference between a prospective patient booking an appointment or not. A common thread for all of these healthcare marketing in New York issues is that they can be time-consuming hurdles. Since time is money, placing these problems in the hands of healthcare marketing professionals in New York will help you effectively tackle these challenges. If are looking for assistance with healthcare marketing, Prescription PR can help. We understand the challenges that physicians face in New York and use that knowledge to create a successful marketing campaign. For more information, email us at info@prescriptionpr.com or call us at 631-392-4255. We look forward to hearing from you! When dealing with a vastly competitive industry such as healthcare, it’s important that you distinguish yourself from your competitors. However, this is easier said than done. In order to successfully set your practice apart from the rest, you have to customize how your company markets itself to its patients at each level. It is ultimately up to the patients to choose which doctor they want to visit, and it is safe to say that they’ll usually go for the best option available. Are you the best option for them? Prescription PR is a Long Island-based company, providing healthcare marketing in New York, that understands the ins and outs of the business and can create a custom marketing solution that works best for your practice. We service clients throughout Suffolk, Nassau, Queens, Brooklyn, and Manhattan. Our team offers numerous services, which include: Search Engine Optimization, Website Design, Social Media Management, a Physician referral program, and more! Our New York healthcare marketing experience throughout the years shows through our work, and we continue to provide streamlined and effective marketing solutions for numerous different practices. We at Prescription PR take all factors of your company into consideration when deciding what is best for you going forward. 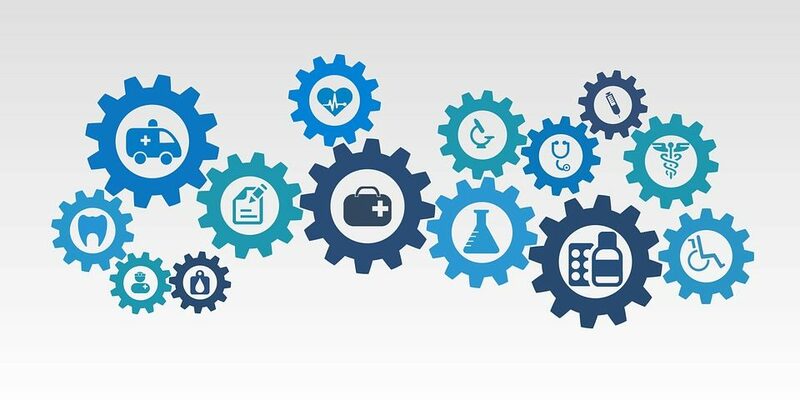 Strengthening your healthcare marketing and public relations efforts can make all the difference for your practice and can lead to valuable connections and referrals in New York. By allowing the professionals here at Prescription PR take care of these things for you, you can give yourself more time to dedicate to your patients.